The language does not offer an adequate base, in order to interpret a phrase. Let’s pull one of world literature out of its context “The husband asked, would she allow him to smoke, obviously not with a view to smoking, but to getting into conversation with her.” You can better understand what is happening, if you know that this is a sentence out of Anna Karenina by Leo Tolstoj. The internal images adapt immediately. If you realize that you are in a train compartment you get even close to the circumstances. 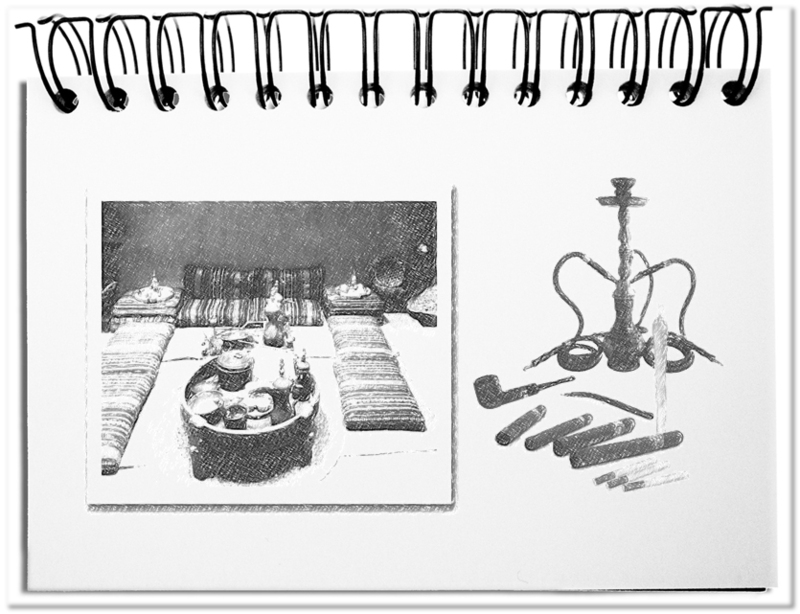 The following illustration creates on the left a frame condition and offers on the right goods for smokers. Which one fits best? That depends on the mental framework in your mind, because the overall context determines the understanding. If you prepare a lecture, you have to take care of the circumstances. There are three aspects that affect this total context. Since you can only understand the things that you can express with words and pictures, the designing of the presentation is a pre-requisite for the transmission of meaning. Most of the times people limit themselves to the determination by facts that are worth it to convey. Unfortunately, many stop there. The information should always be translated attentively into the appropriate words, metaphors, and visualizations that can be understood by the target audience. The dissemination of the own ideas is the real purpose. Eventually the worm has to taste good to the fish, not to the fisherman. The interpretation framework that is created by the event, determines the exegesis of the messages. The title of the event, the various subject areas and the participating presenters with their program items give the attention of the audience a certain direction. Presentations that do not fit within the framework will have difficulties to attract sufficient attention. For this reason you should always consider, how you can shape your contributions to the event. At least titles, examples and presentation style should fit into the program. Eventually the messages need the loosened soil in the consciousness of the audience, in order to strike roots. The total context is determined by the background and the technical field of the listeners. The cultural background can be derived from the place of the meeting. If the addressees come from the western hemisphere, they are for example coined by values, as good and bad, right and wrong. The eastern heritage is based on the balance of Yin and Yang. Accordingly, the desire for acknowledgment is more pronounced in the west and less in the east. The attitudes of the expected participants can also be derived from the event. It is mainly a matter of distinction, whether it concerns technique, sales or leadership oriented listeners. In any case the presentation should be adapted to the respective cause. Eventually there is no general sequence of the lecture that fits for all imaginable opportunities. Each spectator and all speakers bring in their total context. The effect of the exchange of information is a result of the overlap that you achieve between the total contexts. How far you create this, can be recognized by the reaction of the public. Bottom line: The overall context determines the probability that a message reaches the target audiences. Here it is not a matter of your own preferences, but above all the adapted presentation, the general framework of the event and the respective target audience. Since the context always changes from one to the other event, the appropriate conceptions should always be adapted to the respective case, because the total context determines the understanding. Dieser Beitrag wurde am Juli 2, 2016 von memecon in English, Meaning design veröffentlicht. Schlagworte: Context, Event, Presentation, Target group.